Dispatched, from the UK, within 48 hours of ordering. This book is in good condition but will show signs of previous ownership. Please expect some creasing to the spine and/or minor damage to the cover. Damaged cover. The cover of is slightly damaged for instance a torn or bent corner. Grubby book may have mild dirt or some staining, mostly on the edges of pages. Chabon is an excellent writer - able to keep you attention at all times. The fictional trials of the beginning of comic books. Well written and interesting. There is an admixture of World War II. The fact that the central characters are Jewish is important but does not drive the plot. Deserving of the Pulitzer Prize it won. A major epic, full of surprises. Combines history with fiction better than most books of that category. Growing up and living in Cleveland (home of Superman's creators), I thought this was a great tribute to the times and the characters of the book. It is well-written and intelligent and draws the reader into the story. 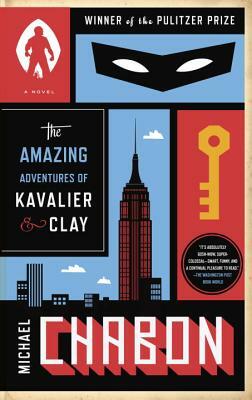 The Amazing Adventures of Kavalier and Clay is definitely a worthwhile read. It's the story of two boys that, for different reasons, attempt to get out of their milieu: friendship hope and freedom are the outcome, and also disappointment. The book is written in a beautiful and rich english. The plot is interesting and original and never falls onto sentimentalism. The only drawback is that it is very long: just a 100 pages less and it would have been better.